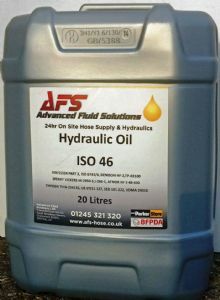 The Ultramax range of hydraulic fluids is manufactured from highly refined base stocks which possess good oxidation resistance and thermal stability. They are fortified with carefully selected additives to further improve performance characteristics including anti-corrosion to protect the system should water be present, anti-wear to reduce wear in pumps used in hydraulic systems, anti-oxidants and anti-foam. The Ultramax range of hydraulic oils is suitable for a wide variety of applications. These include industrial hydraulic systems, agricultural and plant equipment, mobile units such as jacks, lightly loaded gears and many others.